Cape Town – Tshepo Molaoele guards cars at the entrance of The Company’s Garden in St John’s Street, Cape Town. On June 3, 2016, at about 20:00, he noticed a Citi Golf driving around slowly. It seemed suspicious. The car stopped and four men got out. They approached a similar looking Citi Golf, but one of the men was holding a screwdriver. This is when Molaoele realised that they were going to steal the car, according to GroundUp. The would-be thieves noticed Molaoele and offered him R1 000 for his silence. 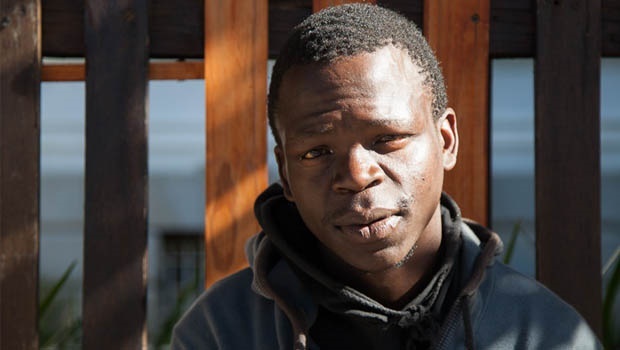 Tshepo currently stays at a city shelter, where he pays R850 month. A R1 000 would cover his rent and leave him with extra spending money. Yet Molaoele decided against it. Thinking on his feet, Tshepo asked them to leave and return a little later when the police had left. The men initially refused, but eventually they accepted his idea and drove off. When they were out of sight, Tshepo ran off to The Big Box, a board game cafe close by, and told them the situation. They called the Central City Improvement District (CCID). Within minutes, members of the CCID had arrived, and, with the help of the police, ran a sting operation. Dressed up as car guards, they waited for the men to return, and when they did, all four of them were promptly apprehended in the act of trying to steal a car. Tshepo was then taken to the police station to write a police report. Molaoele, 27, was born in Rustenberg in North West province. He moved to Cape Town to look for better opportunities to develop his life. He wanted to be closer to the beautiful city and Table Mountain. A deeply religious man, he left his home town in 2014, but things have not been easy. With a matric qualification, and desperate to eat, looking after cars was the only job he could find. His earnings vary wildly, from R30 to R300 a day. He works at least 12 hours a day, starting at 06:00. You can find Tshepo looking after your car in St Johns Street. Disclosure: The car that was about to be stolen was the author’s.